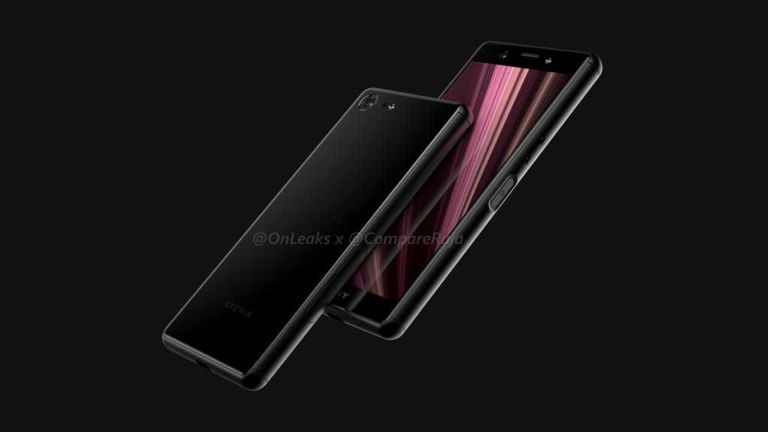 The Sony Xperia XZ4 Compact has just appeared in new concept renders showing off the potential future of affordable Sony smartphones. The new renders of the Sony Xperia XZ4 Compact come from @OnLeaks and CompareRaja. They show off what is claimed to be the smaller sibling of the Xperia XZ4 handset that is due to appear in 2019. Check out the gallery to see more angles. There was also a video released showing the renders of the handset from different angles which you can view below. According to the rumour mill we can expect some basic specs on this presumably affordable handset. We should expect to see a 5-inch display, single front and rear cameras, USB-C, a 3.5mm headphone port and dual front facing speakers. This will clearly be the more affordable option from Sony as the Xperia XZ4 should come with a 6.55-inch HD+ display, Snapdragon 855 CPU, 6GB of RAM, 64GB storage and whatever stunning camera Sony has just come up with too. Of coure Sony will have to impress as next year should be full of stunning firsts. With 5G handsets and foldable phones due to launch in 2019, it's going to be a great year to upgrade.